We flew out of LAX on Saturday morning and arrived in Salt Lake City around noon. Three hours later, we were at our hotel and visiting the sites at Temple Square. Next thing you know, it’s dinner, sleep and boom, we’re in Park City on Sunday morning at 9AM. 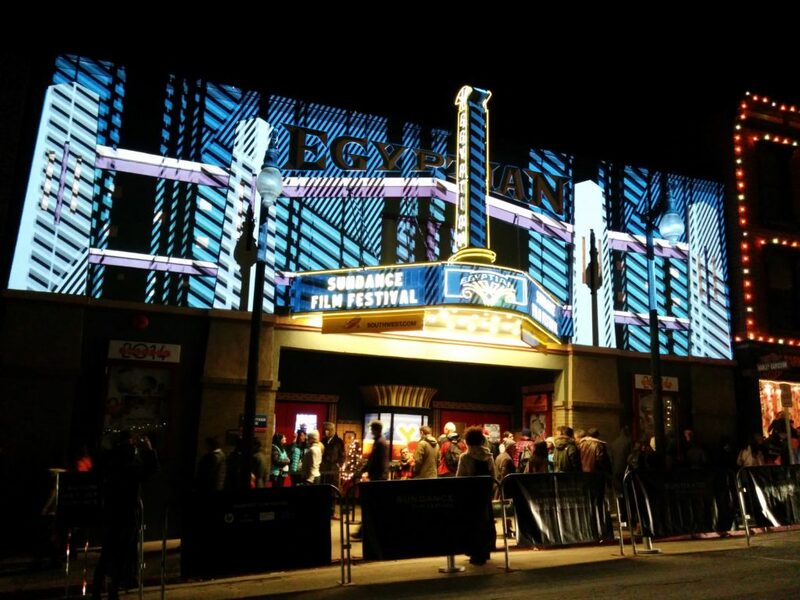 My virgin Sundance experience was a very short but very full one. It was entirely exciting being a part of the hubbub, if even for a mere 13 hours. I really felt like I got the full Sundance experience. 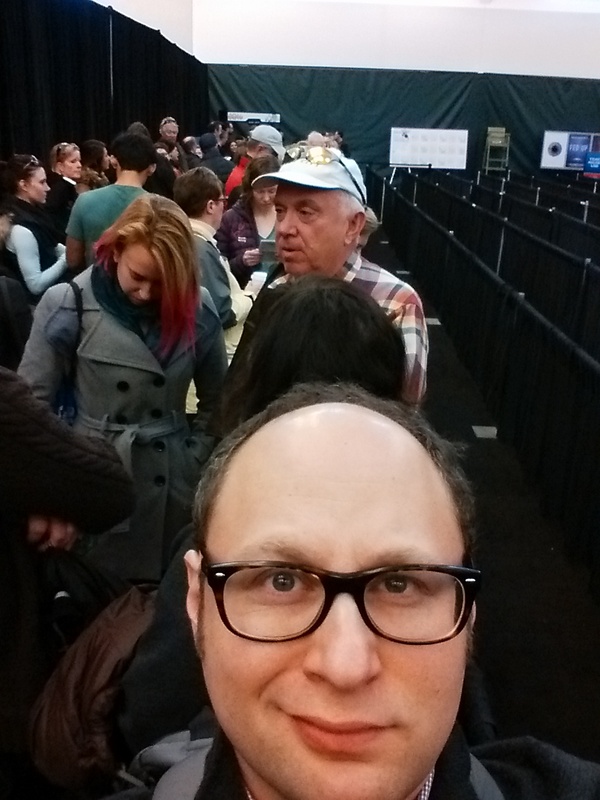 Since my ticket for Fed Up (the film my fiancé edited) was given to an investor, I had to “slum it” in the reserve line. In order to reserve a ticket, you have to log in to Sundance’s reservations site and duke it out with everyone else trying to sign in. Their site crashed a lot and I almost didn’t get on the list. In the end, I was 158 out of 200. The movie started at 11AM. 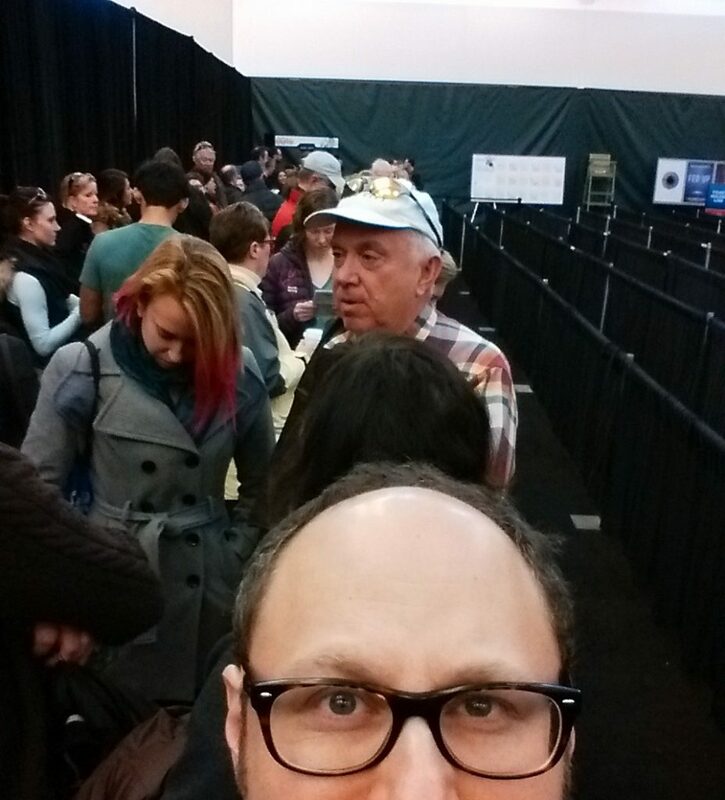 I was still in line with about 100 people in front of me. To quote the Sundance staff, it didn’t look good. About 15 minutes into the movie, I was still waiting with 15 people in front of me. Then 10. Then 4 ahead of me. I was the 5th and LAST person to be allowed into the screening. Talk about lucky! The annoying part of it all was that there were still seats in the theater. Others could have gotten in. The system for seating people at Sundance is perhaps one of the festival’s worst flaws. There are ticket holders, pass holders, and wait listers. They all have different priorities for getting into screenings. My feeling is that the best way to organize this is to do a reserved seating method similar to any modern movie theater. Choose your seats in advance. This way, the staff will know exactly which seats are reserved, who has shown up, and who has not. They could do a much better job of seating people without making everyone feel like cattle or “less than” from those who can afford a $1500 pass. Focusing on the positive, I got in! The screening was great and it was packed. The response to the film was also very positive. 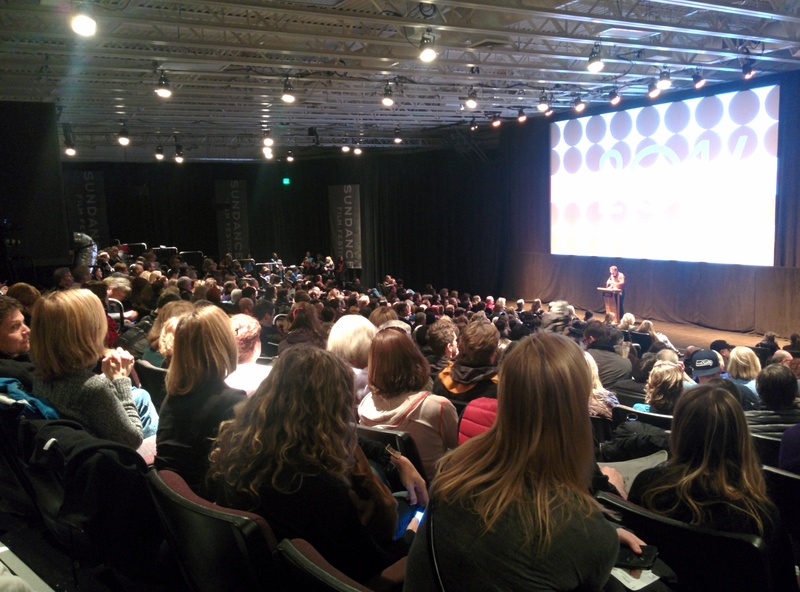 Here are some pics of the crowd, the screen, and the panel, which included producer Katie Couric, director Stephanie Soechtig, and producer Laurie David. After the screening, we stuck around and got into Happy Valley, a documentary about the Jerry Sandusky/Penn State child abuse scandal. It was a great, albeit overwhelming documentary. After that, we made our way to Main Street. I parted ways with Tina and met up with the folks from We Make Movies. They are a film collective devoted to all things… you guessed it… film! They were shooting interviews with cast and crew who were premiering at the festival. A new video can be seen every morning here on Studio Daily. From there, it was dinner at a packed Thai restaurant. I was lucky to get squeezed into a table at the bar with a group of girls visiting from across the country. This is one of the most positive things about the festival – it attracts so many people, not just industry folk. They come from all over the world all for the love of movies. The people at the festival had a very positive, fun vibe, even in the face of the long lines, packed busses, and squeezed sidewalks. At dinner, I had my first and only Elvis Mitchell sighting. And by the way, what film festival is complete without an Elvis Mitchell sighting? Then we packed it in with two parties. The first for Film Utah and the second for the premiere of Fed Up. The Film Utah party was pretty memorable. 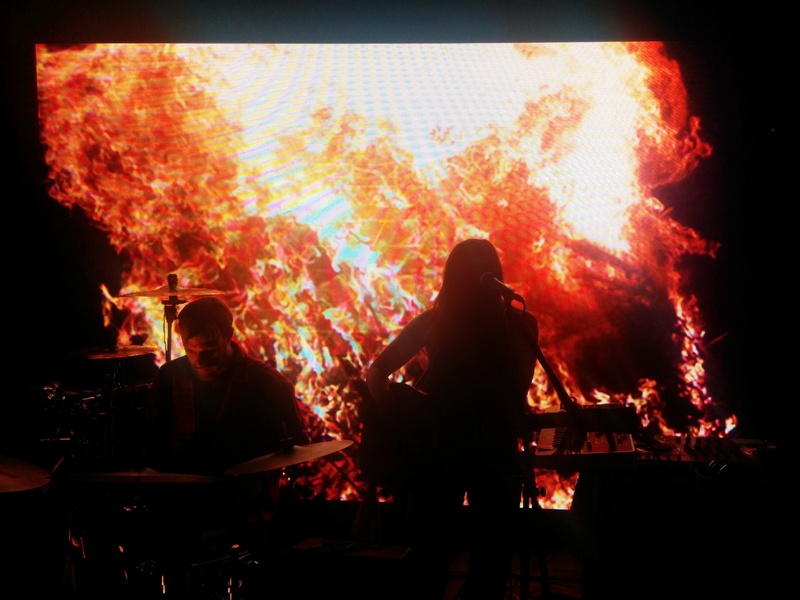 Check out this picture of the singer in front of a very dramatic video wall. After the Fed Up party we stumbled into a taxi and headed back to Salt Lake for our last night in Utah. We had to be up 5 hours later to catch our flight. Needless to say, we were beyond tired. I never sleep on planes, but I was out like a light once we took off. All in all, it was a great trip. I would love to experience it differently next time. 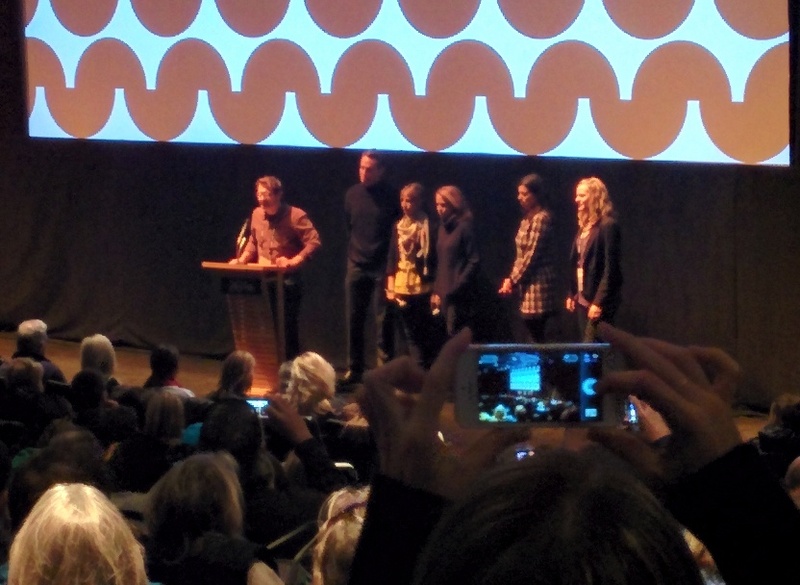 However, this was a great first foray into the world that is Sundance. I recommend that anyone who can afford it go to the festival, even just to watch some movies, ski, and meet some great people.